As the Libyan crisis sends oil prices skyward, many Georgians may be considering the purchase of a hybrid or electric car. Hybrids, such as the Toyota Prius, have become popular in recent years. 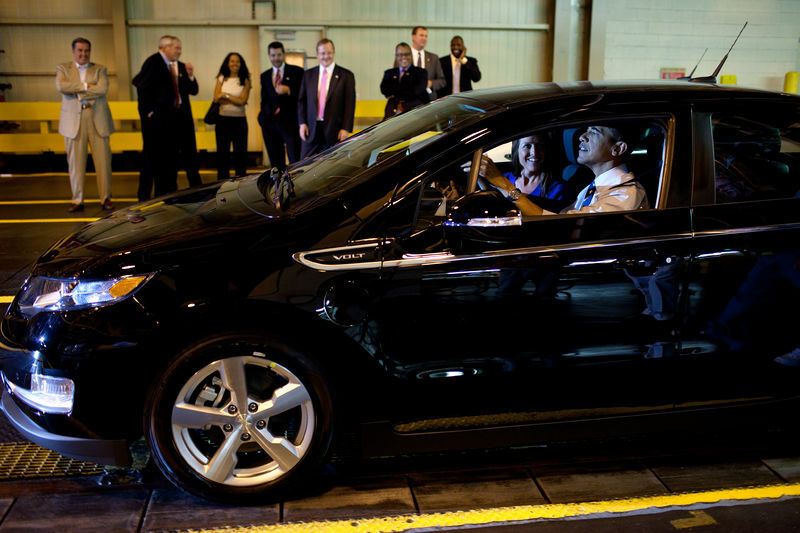 More recently, electric cars such as the Chevy Volt have been introduced. According to Gasbuddy.com, the average gas price in Georgia has risen to $3.43 per gallon. According to the Energy Information Administration, this is still below the national average of $3.56. California’s average price topped the nation at $3.96. Again according to the E.I.A., until this year national average gas prices had hovered in the $2.70 range since the end of the gas spike of 2008 and the beginning of the recession. The current national average represents an increase of about $1.25 over the price for the last two years. Those drivers considering buying a hybrid should consider whether a hybrid or electric car is more cost effective than a traditional gas-powered economy car. To determine whether a “green” car is cost effective, compare them to traditional gasoline-driven cars. 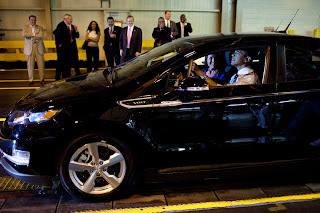 The new Chevy Volt is an electric car. The website of Jim Ellis Chevrolet in Atlanta lists a 2011 Volt at $44,695. For comparison, Sandy Springs Ford offers a 2011 Ford Focus for $14,999, a difference of $29,696. Assuming that gas prices continue to rise to $4.00 per gallon, as some in President Obama’s administration might like, a driver would have to purchase more than 7,424 gallons of gas for their Focus. Assuming all city driving at an efficiency of 24 MPG, this would mean driving more than 178,176 miles. According to the Federal Highway Administration, the average driver only drives 13,476 miles per year. At that rate, it would take over thirteen years for the Volt to break even. The mileage would be even higher if more driving is done on the highway where fuel efficiency is greater. A similar comparison can be done with a hybrid auto. The Japanese earthquake has caused a temporary increase in the price of the Toyota Prius as supplies of the car from Japan have been interrupted, but other hybrids and electric cars are available on the market at normal prices. For example, Ford offers a Fusion hybrid with a suggested retail price of $28,800. This is only $13,801 more than the conventionally powered Focus. The problem with the hybrid is that its fuel economy is only marginally better than the gasoline focus. The Fusion gets 41 MPG on the highway and 36 in the city, while the Focus is rated at 35 MPG on the highway and 24 in the city. The difference is larger for city driving where the Focus’ electric motor runs more than its gasoline engine. The average of the two is 8 MPG in favor of the Fusion. The price difference in the two cars divided by $4 per gallon of gasoline means that it would take 3,450 gallons of gas to make the more expensive Fusion break even with the Focus. In city driving where the Fusion is more efficient, that amount of gasoline would carry a Focus 82,800 miles and a Fusion 124,200 miles. Based on the FHA’s annual average mileage, that would take about nine years. There are other details to consider as well. Depending on where you live and when you buy, there might also be government subsidies, tax credits or corporate incentives that would make a “green” car more financially attractive. Conversely, the resale value of these cars has not been thoroughly established since the technology is new and the number of used hybrids and electric cars on the market is relatively small. Further, the reliability of the batteries that power the electric motors in “green” cars is untested beyond a few years. A big deciding factor in whether to buy a “green” car is where and how much it will be driven. If the car will be used primarily to drive short distances in the city, a “green” car will be more attractive than if it will be used on the highway for longer distances, where the efficiency advantage of the electric motor is negated. For cars that are only driven a few thousand miles per year, a conventional gasoline powered car is likely to be more cost effective unless gas prices rise much higher than they are today. A “green” car would not be as attractive for a commuter from Atlanta’s outlying suburbs as it would for someone who lives downtown, but drives a high number of miles around the city. A “green” car would also be unattractive as a family auto. Most green cars are the size of compact cars that are unsuited for hauling children and the assorted paraphernalia that parents need to keep them fed, happy, and safe. A “green” minivan may be years away from the market. Likewise, heavy trucks needed on farms or for hauling trailers and equipment have no competition in the “green” marketplace. Many conservatives consider the government’s support of “green” autos to be another example of ill-advised subsidies for favored companies. Even with subsidies, these cars are expensive, inefficient and do not meet the needs of most families. In a time of high deficits and national anxiety over debt, such subsidies may be out of place. If the government stays out of the market, consumers might eventually decide to embrace “green” cars as a response to rising gas prices. Alternatively, government subsidies of favored companies might crowd out new technologies that are even more promising than hybrids and electric cars. The question is whether most Americans prefer to have the government choose the new technologies that bureaucrats deem best or to allow consumers to make their own choices free of government interference.